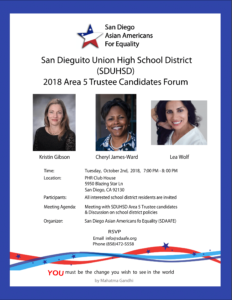 You are cordially invited to the Trustee Candidates Forum of San Dieguito Union High School District Area 5. This area covers most of the Carmel Valley area for zip code 92130. 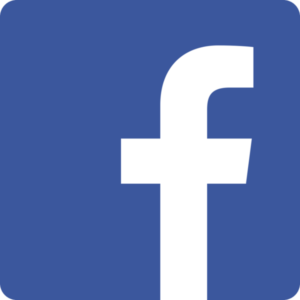 School trustees oversee the operation of Carmel Valley Middle School, Pacific Trails Middle School, Canyon Crest Academy and Torrey Pine High School. Many of us moved to Carmel Valley for its excellent schools. 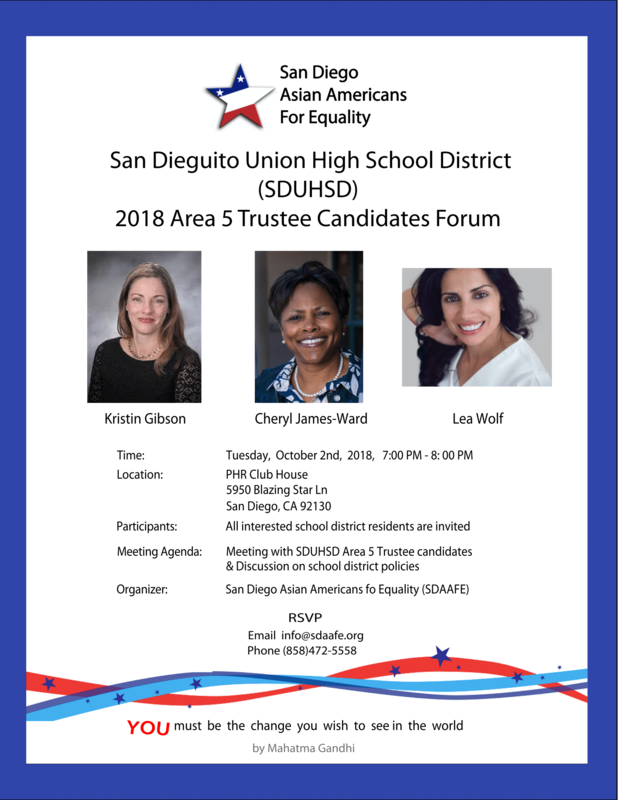 Please come and meet our school board candidates to learn about their campaign priorities and to be engaged to keep our schools exceptional.